Peachtree City Councilman Mike King. Photo/Ben Nelms. There has been a lot of talk recently about the relationship between the Peachtree City Council and the Peachtree City Water and Sewerage Authority (WASA). [See Letter to the Editor.] Councilman Mike King on May 2 added a new wrinkle to the conversation by recommending an outside study to sort out and help resolve the issues. King’s suggestion came at the conclusion of a council workshop. His comments came after Mayor Vanessa Fleisch cited past changes in contract agreements with entities such as the airport authority. “Because of some of the recent developments, I think it’s time now that we look at WASA as well, and its relationship with the city,” Fleisch said, then turning to King. 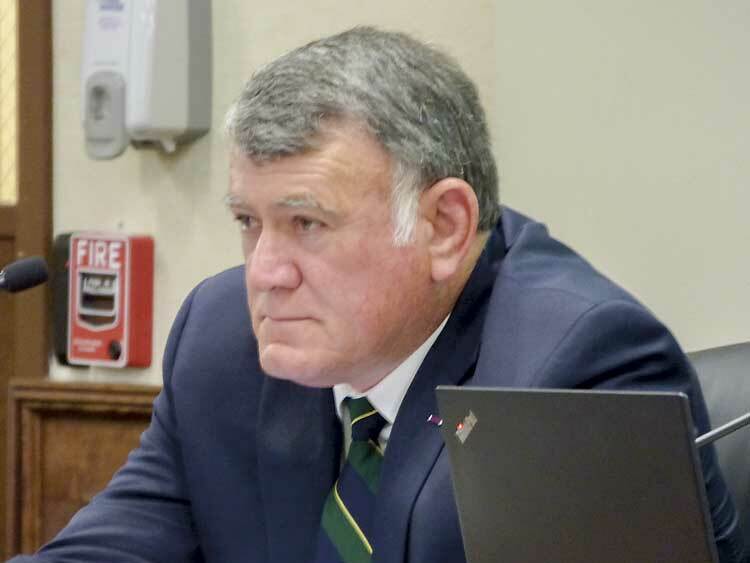 WASA Chairman Bill Holland by press time could not be reached for comments on the council suggestions made at the May 2 meeting. “Three and half or four years ago there was a letter-writing campaign that was on this dais, and right now we’ve got one whether we asked for it or not,” said King, bringing the topic to today, and the conversations and letters pertaining to WASA and the city. 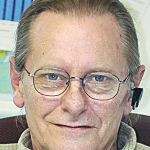 “Some people are saying that the sewer rates are high, but by the same token the amount of money that’s paid off in bonds and everything else, our citizens and rate-payers are the ones that have actually paid those bonds. So they ought to have a voice,” King said. “We’ve got lawyers disagreeing on whether or not the City Council has the authority currently to allow capacity to go outside the city limits. It’s going on and on,” he said. King noted that what is happening is not a new issue for Peachtree City. “It’s been going on probably as long as most of us have been in here,” he added. King continued, saying he believed the city is prepared to fund the study. He suggested that the attorney that helped with the Lake Peachtree agreement, or another attorney available to do so, might be considered, adding that council approval would likely be needed. Following the comments by King were those by councilmen Phil Prebor and Terry Ernst. “We just need to air this thing out. Rather than letting it fester, we need to fix it,” King said in response to Prebor’s comment. The council may take up the issue of an outside study in the coming weeks.